The flageolet is a small recorder with six finger holes, arranged in a quizzical way: four holes at the front of the instrument and two thumb holes at the back. Initially some models were meant to be used during singing lessons for caged birds. A spunge, insterted in the bulge of the insufflation tube (between the mouth piece and the labium) catches the moisture from the musician’s breathing in order to limit the effects of condensation in the instrument. Flageolets also come with valves. Since the first years of the 19th century, the French flageolet is a great success with amateurs as well as with professional musicians. Many methods and studies for flageolet are published to help the amateurs blow their first tones or for the accomplishment of professional musicians. Even the young Berlioz is known to have plaid the instrument. 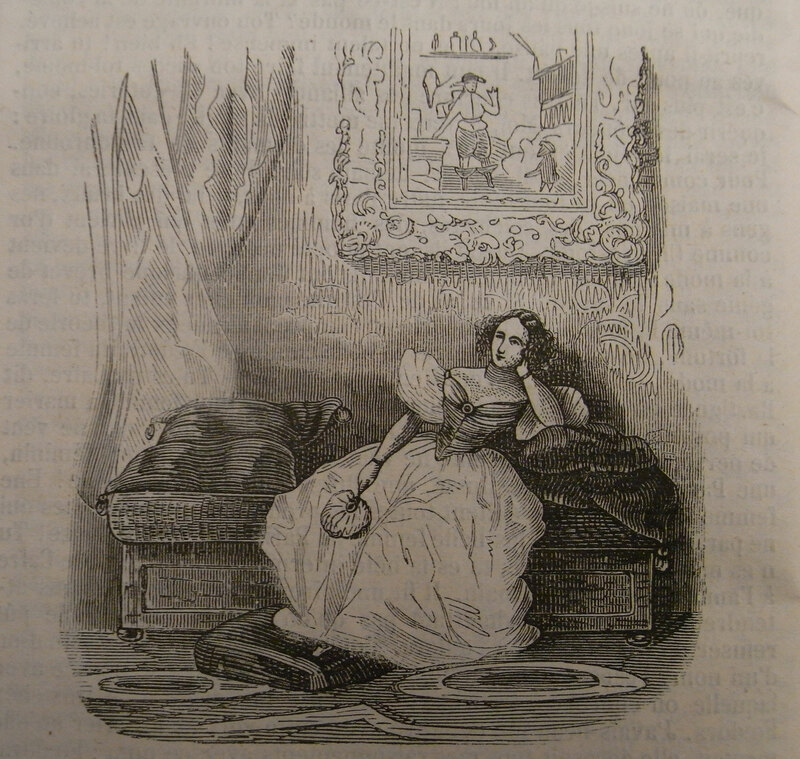 Mainly in the field of dance music the instrument manages to distinguish itself, to the point of its name being associated with the quadrille. The flageolet is used for solos, but also in duets or as part of small ensembles to start the figures of quadrilles, waltzes and polkas. Its penetrating sonority was a trump card in balls, as in this way the melody could always be heard by the dancers, in spite of the buzz of the people and the sound of the feet hitting the ground. 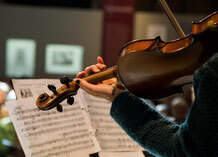 There is also a more serious repertoire, such as studies, concert duets and the varied themes by Carnaud (around 1835) and later the caprices by Bousquet (1864). Among the most famous flageolet players we have to mention Edmond Collinet, a virtuoso in dance orchestras and in the ‘Théâtre des Variétés’ in Paris. The cornet à pistons (valve cornet) comes into being in the early days of the July Monarchy when its builder Halary elaborates the natural cornet with an ingenious mechanism that was developed some fifteen years ago in Germany: the piston. The new cornet, with its two and later three pistons, quickly draws the attention of young musicians, cornet players and trumpet players, all of whom are greedy for novelties. 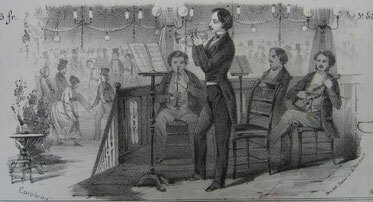 In 1833 the cornet à pistons makes quite an impression in Musard’s orchestra. 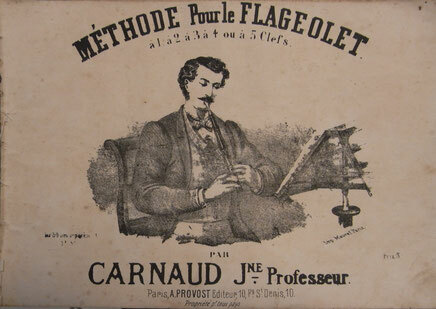 Among the first players and pedagogues of this instruments are Collinet and Carnaud father and son (who were first and foremost players of that other fashionable instrument, the flageolet), but mainly Dufresne and Forestier, solo players of the ‘Concerts Musard’ and authors of methods and solos. De cornet, also dubbed ‘the soul of quadrilles’, rules over ‘guinguettes’ and public balles. Berlioz may write about the cornet à pistons that it ‘has become an indispensable solo-instrument for contra dances, galops, airs with variations and other second-rate compositions’. Nonetheless, however vulgar he considers the sonority of the cornet à pistons to be, this brilliant composers does writes a couple of beautiful pages for this very instrument, e.g. in the revised versions of his Symphonie fantastique and his opera Les Troyens. With the new possibilities offered by the pistons, the cornet makes its entry in balls and salons, as well as in the opera orchestra and the symphonic orchestra. The cornet à pistons also becomes an essential element in military music and civilian brass bands. Moreover, composers begin to write chamber music for brass sections in which the cornet plays an important part. In the middle of the 19th century, the cornet à pistons is ‘in universal use, mainly by the young and amateur musicians’. Exactly for these dilettantes many collections are published with dances and arrangements of airs for one or more cornets or other casts with cornet à pistons. 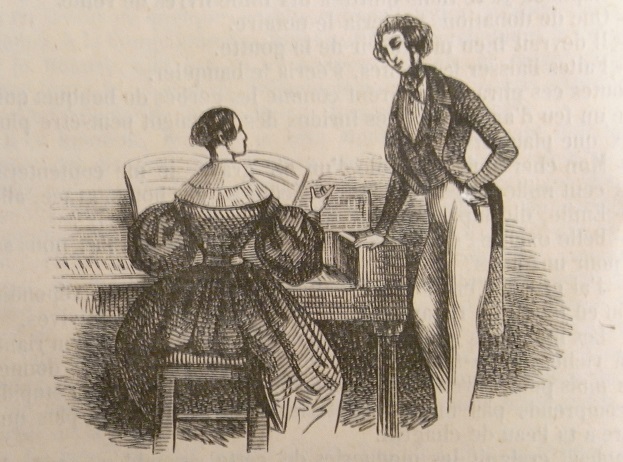 Contemporary pianos only come in two shapes (the upright piano and the grand piano), but in the 150 years after the instrument’s invention by Cristofori, the overall picture is quite different. The first pianos are made by builders of harpsichords, spinets, vertical harpsichords and clavichords. Loyal to their tradition, in the early years of this newcomer they tried to integrate Cristofori’s mechanism in all kinds of keyboard instruments. In this way the grand piano inherits the traditional shape of the harpsichord, whereas the vertical harpsichord lends its shape to the ‘giraffe piano’. The wing spinet has no equivalent in this new family of instruments, but the clavichords, equipped with the new mechanism, forms the basis of a very important dynasty of instruments: the square piano. 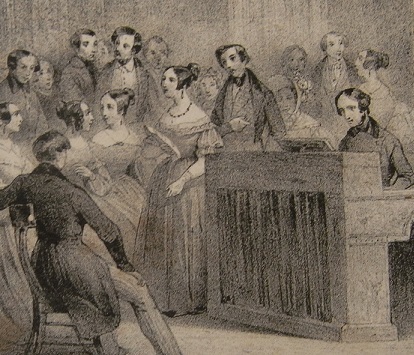 The importance of the square piano can be derived from the sheer amount of instruments built, as well as from its great popularity with individual buyers who appreciated its low price and limited size. But also from a historical perspective the instrument is important, as in the 1800-1840s it functioned as a ‘laboratory’ for piano builders. Imagine that among the more than 100 certificates presented every year in only the city of Paris, the greatest part was covered by this type of instrument: e.g. for the felt layers of the hammers, for the first cast iron reinforcement of the frames, for a string-splitting system developed by Vincent Triquet in 1828… A great many of these inventions are still of importance today and were only possible exactly because of the long period in which the many builders of square pianos could experiment on them. Some of these builder we no longer know, some have become the great names of the piano world, like Erard and especially Pleyel, whose square pianos are said to have been highly appreciated by Frédéric Chopin. Finally, numerous iconographical sources refer to the presence of pianos in ball rooms and concert halls, educational institutes and sometimes even places of worship. So, in view of the renewed interest in the repertoire of the former half of the 19th century, it is indeed quite justified to include the sounds of the most widely used and most popular kind of piano.